Alaska Gov. Sarah Palin has been accused of paraphrasing at length from an article co-written by Newt Gingrich when she gave a speech, but her lawyer says proper credit was given to the former House speaker. Blogger Geoffrey Dunn, who is writing a book about the former Republican vice presidential candidate, made the accusation on the Huffington Post Web site. Dunn compared Palin's speech introducing conservative talk show host Michael Reagan, son of former President Ronald Reagan, to an Anchorage audience Wednesday to the article urging Republicans to study Reagan, written by Gingrich and Craig Shirley in 2005. "It is abundantly clear in context, and even in subcontext, that the overview of President Reagan's legacy was attributed to Newt Gingrich," Palin's lawyer, Thomas Van Flein, said. "Far from 'lifting' or plagiary, this is proper attribution in a political speech," Van Flein said. "The audience was made aware that Mr. Gingrich wrote about President Reagan's legacy, and Gov. Palin attributed her paraphrasing to Mr. Gingrich expressly and did so at the beginning and at the end of the paraphrasing." Palin twice referenced Gingrich during the speech. Toward the beginning, she said, "Recently, Newt Gingrich, he had written a good article about Reagan." Later, she said, "What Newt had written in this article, he wrote, 'Remember how refreshing it was with his outrageous directness that Americans loved, and praised and deserved' that Reagan dealt with, with then the troublesome Soviet Union, remember this? His vision for the Cold War? We win, they lose." 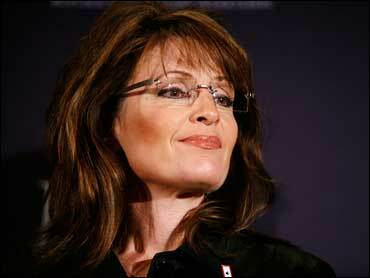 Dunn examined similarities when comparing Palin's speech to the article. In one part of her 17-minute introduction of Michael Reagan, Palin said, "We have to remember first that Ronald Reagan never won any arguments in Washington. He won the arguments by resonating with the American people." Gingrich and Shirley wrote in their article, "Reagan never won an argument in Washington. Reagan won his arguments in the country with the American people ... ."
In another part of the speech, Palin said, "We would do so well to look back on those Reagan years as he championed the cause for freedom and then he lived it out as our president - cheerfully, persistently and unapologetically." The 2005 article says, "Cheerful persistence rather than easy victories were the keys to Reagan's career."